Valentino Rossi has already begun a course of physiotherapy on his injured right leg less than a week after breaking his tibia and fibula in an enduro crash and needing surgery last Friday morning to have the bone pinned back in place. Speaking ahead of this weekend’s San Marino Grand Prix at Misano, his home race, the nine-time world champion says that he’s already begun preparing the steps back to the 2017 MotoGP championship sooner rather than later. “It's a big pity that I can't be at my home GP. For sure, I was really looking forward to the round in Misano, because riding in front of the fans there is something very special, but I have to treat the injury with care. I know the team is supporting me during the rehabilitation process. And while he might be without a teammate this weekend, Maverick Viñales is confident that he’ll be able to fly the flag for the team as he aims to get his championship campaign underway as the final third of the season kicks off. 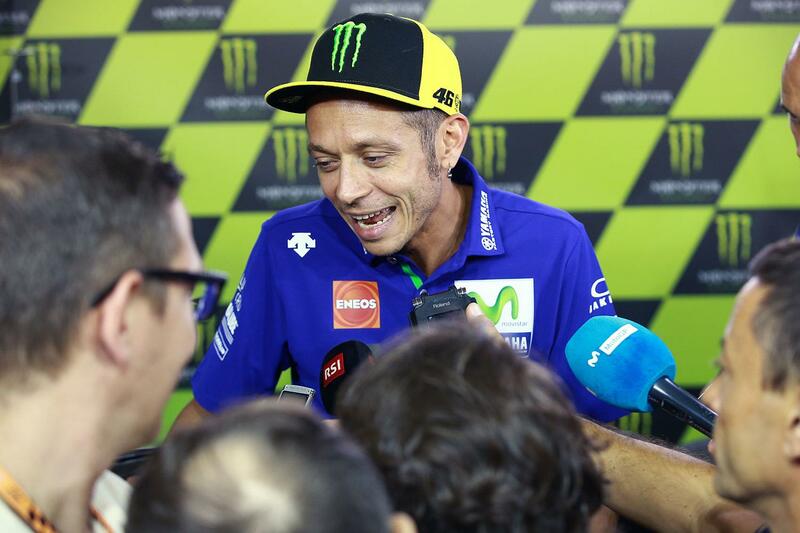 “Unfortunately we will arrive at the Misano Grand Prix without my teammate Valentino and it's a big shame. I know it‘s a very special GP for him, as it's his home race, and it will not be the same if he‘s not there. I wish him a quick recovery and hope to have him back in the garage as soon as possible.